NSUH- Dept. of Med/Div of Inf. Dis. "Dr. Malhotra is the best, very professional - has a real sense of humor, encouraging and very knowledgeable of his craft. Shows great concern for his pts. - Awesome dr. he saved my life some years ago - Thank you!" "I have complete confidence in Dr. Malhotra. I have a complicated auto immune disease that requires constant monitoring. Dr. Malhotra is always on top of my illness." "Dr. Malhotra is the star of the show! I have utmost confidence in him." "This is the second time Dr. Malhotra saw me thru a serious infection. I have complete trust in him." "Dr. Malhotra is an excellent physician. I will recommend Dr. Malhotra to others." "Private practice - He's an awesome dr. Knowledgeable courtesy, kind, professional and great bedside manner - Very caring about his clients." "Dr. Malhotra was one of the most pleasant individuals I've ever met. He spoke to me as if he were my brother. Very thorough, pleasant interaction." "Dr. Malhotra is very bright and sharp." "It is helpful that Dr. Malhotra has the computerized records to view & compare the numbers/changes or not." "Dr. Malhotia is a very kind and easy to deal with doctor." 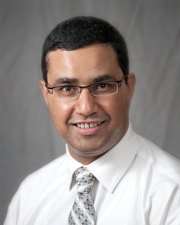 "Dr. Malhotra is caring & is concerned with all aspects of good health." "Dr. was very nice, I was confident in his ability." "He seems to care about my feelings and thoughts."